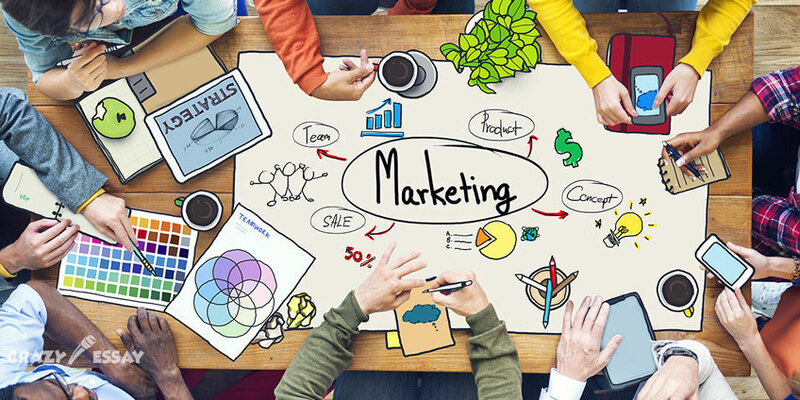 What Is the Marketing Mix (4P)? One of the founders of the marketing discipline and 4P theory is Theodore Levitt, who wrote an article entitled "Marketing myopia" in 1960. It was about the beginning of "marketing craziness." Levitt wrote that large manufacturing enterprises are often too focused on their products and their market, ignoring what is happening outside of it. Initially, it was generally 3P, the first three points without promotion. Then 4P appeared, then 5P, then 7P. Do you think that is all? No, there is still 11P. For us, this is a complete mess, everyone is just trying to find another relevant word in marketing starting with the letter P and supposedly coming up with a new theory. Well, we put everything on P – pause and will analyze a partially improved version of five words. The last letter that we will add to our four ones will sound like PR (PR). Since again, in our personal opinion, it fully and adequately discloses all marketing. It reveals it in such a way that with these five words, you will learn a lot of problems (ways) that need to be worked out so that your company reach a new level. By the way, this concept is applicable both for companies and for the study of personalities. You can find out more interesting articles on similar topics and writing tips on crazyessay.com. Despite the fact that no one determined definitively what appeared earlier – a chicken or an egg, within the framework of marketing mix, everything starts with a product. It is a universal name for both a product and a service. Everything is quite elementary here: in order to sell something, you must understand what you are selling. You should clearly work out your product or service, heaven save you from selling a bad product when people have already started buying it. It means tons of negative will pour on you in all possible spaces and business may be over. This is not a complete and universal list of components. Some of this should be removed if you are working on a product, and something must be added if you are working on a service. Everyone's list will differ. By the way, now in the modern world, people like to say that the first word "product" is necessary to be replaced by "solving a problem." Since, according to the logic of things, people do not buy a product, but a solution. There is truth in this, it makes sense. However, people buy a solution not always. Some purchases are made just for the sake of getting emotions. But we would not advise you to go into this labyrinth now. "We are the best, because we have the lowest price!" – the slogan of most companies says. It is not a bad strategy, but dumping is rarely good. To avoid this competitive struggle, as a minimum, read about the commodity matrix. As a maximum, work out the second P (price). You can call it pricing, or any other word by type: "It is cheaper than the market leader’s goods." First of all, you do it for yourself, not for effect. Well, and in this case, be sure to consider competitors as they create a price corridor. Although, returning to modern practice again, you can see that the price does not always have to be equal to quality. There is an example of Apple's technique, which more likely operates with "value" than quality. We do not want to say that they have bad quality, they are at their best. But if we start to study the market, we will see that its competitors are not worse at a lower cost. This is a place where you will sell your product, through which channel your product will get to a customer. As you have noticed, there are much more delivery options for products, but you can also come up with some interesting ones for services. And usually, if the sale of services is carried out through the phone (in a separate office), then you can also do it through special points in shopping centers. It is the simplest block, which is the easiest to learn. In fact, these are the ways and channels for transferring information to a customer about your product. Simply put, it is advertising that is often confused with a place, which is not correct. After all, in this case, our task is to determine the types of advertising that we will use to make a client know about us, learn about our unique commercial offer. As the saying goes: "All this and much more." It all depends on your target audience and budget, which is allocated, and it is not made of elastic, so you have to carefully approach this point. You should also always think carefully about the plan of your marketing papers on similar topics, so do not forget to structure the information found and always state it consistently. In practice, small businesses need to touch this block in the last place since all the same, this is money that can be spent on more urgent needs. And this is the most important for many people. Rated 4.5 | 44 votes.